Lovely atypical property with a waterfall on site. Any category of bungalow will be very spacious. Unique opportunity to participate in a Tahitian- style ground cook on certain days of the week. 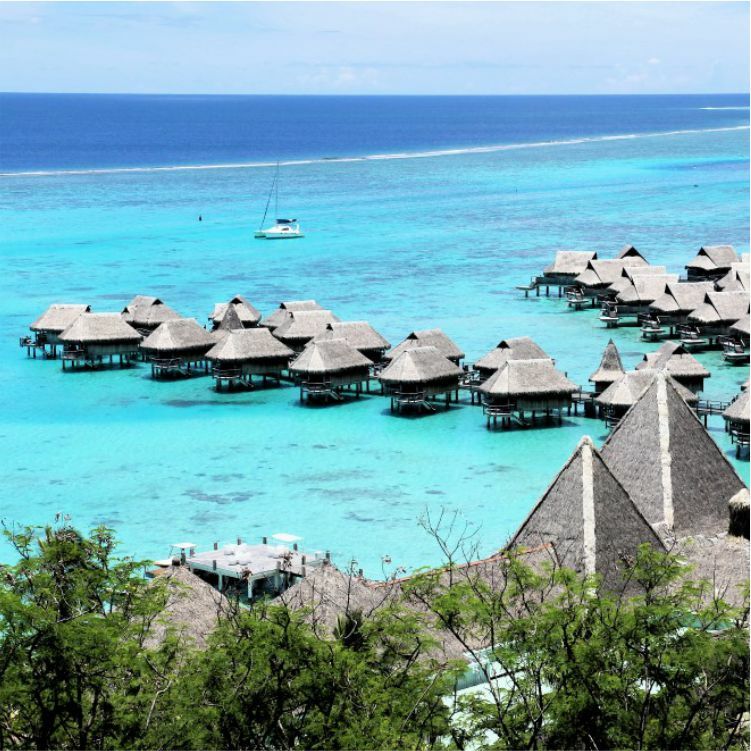 Sofitel Moorea la Ora Beach Resort is settled on the edge of a magnificent lagoon, with views to the island of Tahiti. The resort features 112 luxurious bungalows built over the water, on the beachfront or surrounded by landscaped gardens. Facilities include two excellent restaurants, a bar, a fabulous outdoor swimming pool and day spa. Moorea has one of the world’s most beautiful beaches, and a variety of non-motorized water activities or scuba diving can be arranged for guests. Moorea is just a quick 10-minute flight from the main island of Tahiti, or less than an hour by ferry. A tropical wonderland of lush green rain forests, magical lagoons and awe-inspiring mountains rising out of the Pacific Ocean. Moorea is the ideal destination for couples and families alike, with a wide range of exciting activities on hand. If you get tired of pure relaxation then you can dive, sail, wander through the pineapple fields or try the local Polynesian cuisine. Set on the edge of a lagoon, this polished resort is 3 km from Moorea Green Pearl Golf Course and 11 km from Mount Tohivea. Featuring thatched roofs, the chic wood cabins have free Wi-Fi, flat-screen TVs and tea and coffeemakers. Some have direct beach access or over-water locations. Upgraded quarters offer whirlpool tubs, Bose sound systems and Nespresso machines. Room service is available. A breakfast buffet is included. There’s a vaulted, pavilion-style restaurant, as well as a modern eatery, and a bar with lagoon views. Other amenities include a private beach, an outdoor pool and a hot tub, plus a spa area.